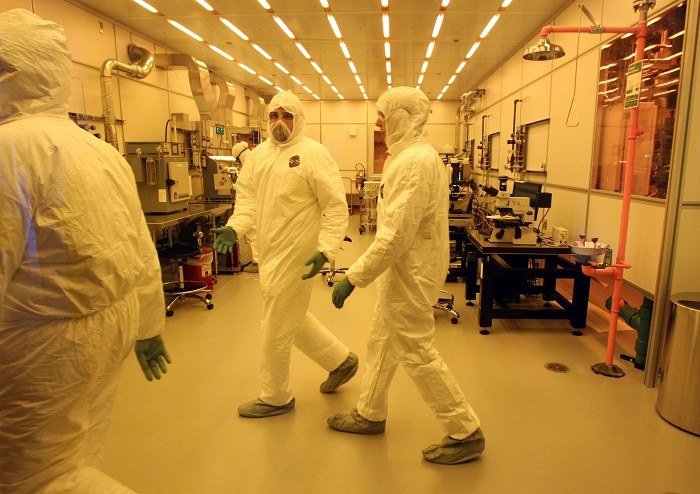 The Princeton Institute for the Science and Technology of Materials (PRISM) created a state-of-the-art cleanroom nanotech fabrication shared research facility used by about 200 students, faculty, research staff, and industrial partners per year. 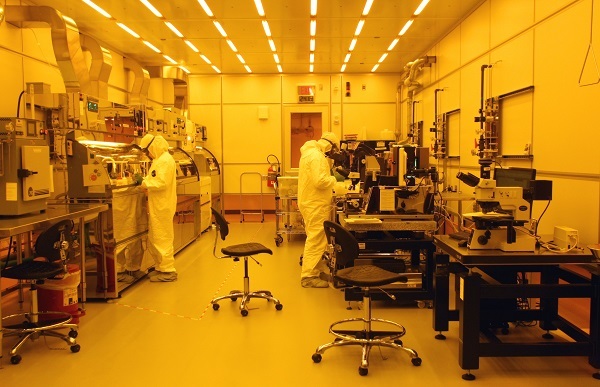 Labmembers use thin film deposition and micro/nano lithographic patterning techniques with a variety of substrates to fabricate devices and structures for electronic, photonic, Micro Electro Mechanical System (MEMS) and biological applications. 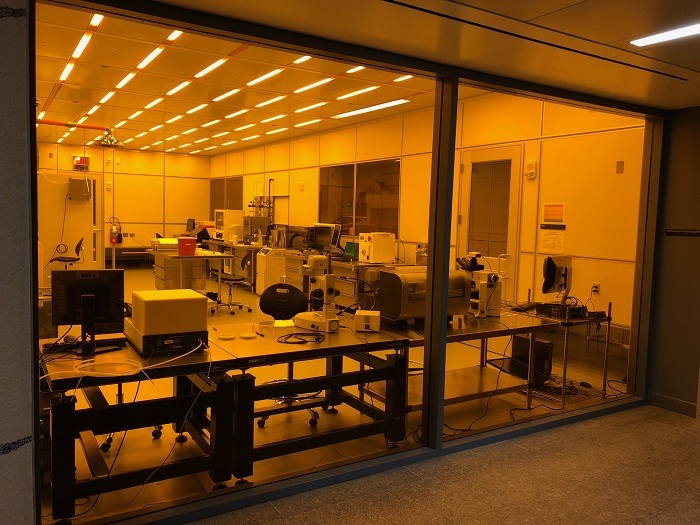 The PRISM Cleanroom with its Soft Materials Processing and Packaging Labs operate in the 129,000 square foot Andlinger Building. The bay/chase cleanroom space occupies two levels of the building and encompasses over 15,000 sq. ft. of C100-C10,000 (ISO 5-7) space using a pressurized plenum design. 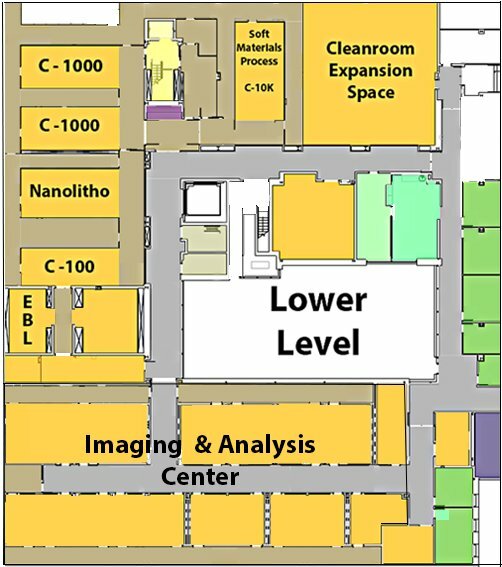 Contiguous with the main cleanroom is a 1,500 sq. ft. undergraduate teaching lab committed to educating and training. Cornerstone undergraduate courses and lab sessions are taught in this facility. 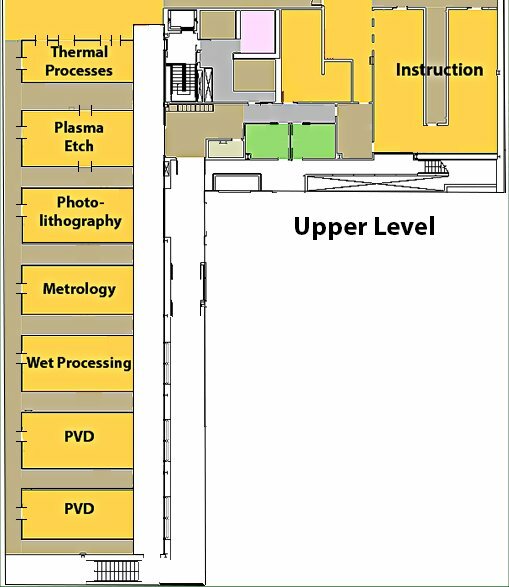 The Soft Materials (microfluidics) Lab has an independent gowning entrance to prevent cross-contamination into the primary cleanroom. It capabilities include protein or suspended nanoparticle inkjet printers, SU-8 And PDMS processing and a Heidelberg uPG laser direct patterning tool. 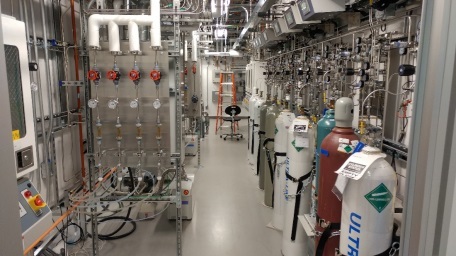 These tools and our supporting expertise enable interdisciplinary research and collaborations. 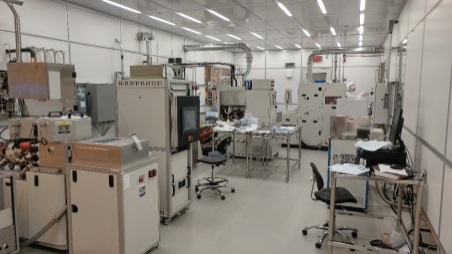 An adjacent stand-alone Packaging Lab is located on the lower level of the building housing a full range of services including dicing & singulation, planarization, wedge, ball and flip-chip bonding techniques. The ability to handle a wide range of substrates: from the usual silicon and III-V semiconductors, to sapphire, glass; as well as plastic and metal foils to support flexible electronics. To process a wide range of sample sizes: under 5 mm x 5 mm up to 150 mm wafers. 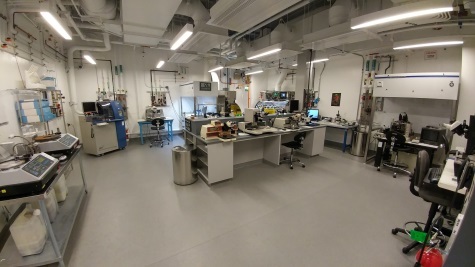 Dry etching and pattern transfer: eight tools for Si, III-V's, Al, Ti, dielectrics, and other materials, in both shallow and deep anisotropic capability. Optical lithography: Heidelberg DWL-66+ with greyscale and backside alignment direct laser patterning as well as a standard suite of contact mask aligners. Nanopatterning: nanoimprint and direct write e-beam lithography, on either piece parts or whole wafers. Polishing, bonding, dicing: a wide range of tools for electrical, optical, and mechanical packaging. Software tools available to labmembrers include (1) mask design and database conversion tools: LEdit, AutoCAD, LayoutEditor, the conversion software LinkCAD, and (2) process simulation software Simulator. They can be used remotely. Multidisciplinary microfluidics to address multi-phase fluid separation and mixing and picoliter assay management in physical and life science applications as well as biomimicry of nanoporous systems. Staff: Joe Palmer, Eric Mills, Roman Akhmechet, Zuzanna Lewicka and David Barth.